New England's top Artist Development Company, has a 25 year history of helping artists acquire the skills and tools necessary to achieve their goals in the music industry. 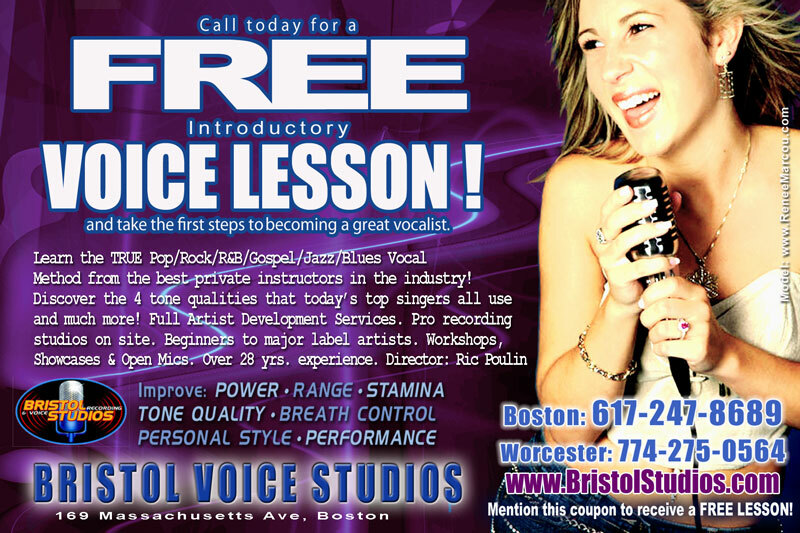 We offer a unique and extensive list of services and training programs in all areas of vocal performance and recording which can't be found anywhere else! We do not give false impressions on talent or ability. Bristol's proven track record of success is based on creating a strategic individual plan and progress chart to show you exactly where you are, and the exact steps needed to get you where you want to go. 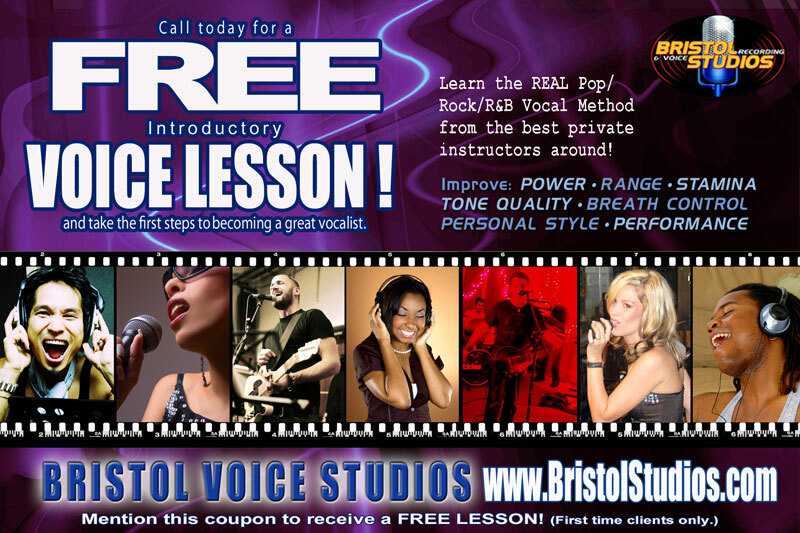 The Bristol method of voice instruction is one of the few programs in the world that teaches the Gospel/Pop/R&B/Rock Method designed for all forms of popular singing. This method offers all the tools used by today's top contemporary singers.